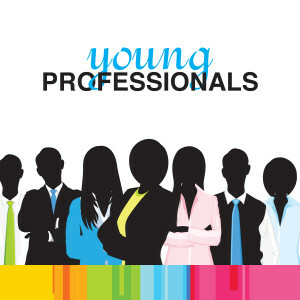 Do's and Don'ts for Events Geared Toward Young Professionals - Redstone Agency Inc.
Don’t serve pizza. Young professionals may have a tight budget, but for many, a soggy slice of free pizza is not a big draw. We eat with our eyes and are all about getting the right pics and snaps, so if you do decide to serve pizza, make sure it’s Instagram-worthy! Do have a get-to-know you offering, but not the classic ice-breaker. Whether it’s something happening in the room (entertainment, for example), or a brief talk that will encourage attendees to ask questions and have a discussion amongst themselves, this provides people who may not yet be comfortable with networking with a few opening lines but doesn’t feel forced for those that would prefer to do their own thing. Don’t underestimate the range of people that may attend. As mentioned above, expect different levels of professionals, and ensure that your content is appropriate. The same content for a 21-year-old fresh out of school is too junior for someone who is 35 but who may be new to a particular industry. Do consider what their first and last impression will be. In this demographic, you might only get one chance to impress, and if you don’t, they’ll move on to the next best thing. Keep in mind that you’re targeting an experience-driven generation and use that to create more memorable events. Don’t charge more than a small registration fee, or better yet, make your event free. Even the difference between a free event and one that is $25 will have a big impact on their decision to attend. If it’s $25 for one evening of networking, they need to know that they’re getting value from it, so ensure you’re clear about the ROI in your marketing strategy. Please comment below with any other do’s and don’ts that you have for events geared towards young professionals!